Active Ingredients: Indigo Naturalis, Isatis Tinctoria, Psoralea Fruit, Coptis Chinensis, Phellodendron Amurense, Sophora Flavescens, Centella Asiatica. How to use: Apply thinly 2-3 times a day to affected areas. Active Ingredients: Isatis Tinctoria, Psoralea Fruit, Phellodendron Amurense, Sophora Flavescens, Indigo Naturalis, Centella Asiatica. How to use: Spray onto affected areas. Let it soak or dry. Don't wipe out. For best results: Spray on affected areas, wait few minutes then apply cream thinly on top. For best results:Spray on affected areas, wait few minutes then apply cream thinly on top. Psoriasis is a non-contagious, recurrent skin condition that affects about 2% of the population. In simple terms, it is an acceleration of the skin replacement process. Normally a skin cell matures in 21 to 28 days during its passage to the surface where a constant shedding of dead cells, as scales, takes place. Psoriatic cells, however, are believed to turn over in two - three days and in such profusion that even live cells reach the surface and accumulate with the dead cells in visible layers. 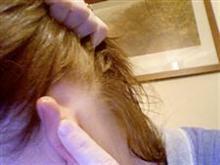 Psoriasis appears as raised red patches of skin covered with silvery scales. 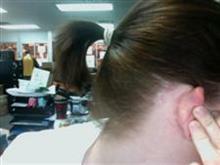 It can occur on any part of the body although elbows, knees and the scalp are usual sites. There is often accompanying itching. Psoriasis affects women and men equally. It may appear for the first time at any age, but is more likely to appear between the ages of 11 and 45. Widespread ignorance about the nature of psoriasis and the real or imagined reactions of others may lead to a withdrawal from society and to feelings of isolation, depression and defensive shyness. 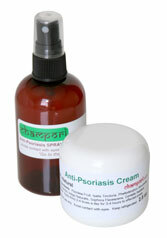 Psoriasis symptoms get worse when your skin is dry, so keep it moist with creams and lotions. Thick and oily moisturizers are often the best, since they are good at trapping moisture beneath the skin. Moisturizers are also useful for removing scales, especially if you wrap the area with plastic after applying moisturizer. Climate can have a big effect on psoriasis. For a lot of people, cold and dry weather can make the symptoms of psoriasis worse. In general, hot weather is better for people with psoriasis, although some have worsening symptoms when the heat and humidity rise. Keeping your skin moist is important, so use a humidifier during dry seasons of the year. It is very important for people with psoriasis to avoid bruises and cuts. Trauma to the skin can cause a flare-up of psoriasis, either at the site of the injury or elsewhere, a condition called "Koebner's phenomenon." Infections can also cause psoriasis to appear. Be especially careful when shaving. Avoid insect bites, chafing, acupuncture, and tattoos. Because ultraviolet rays in sunlight slow the growth of skin cells, getting moderate doses of sun is a good idea. However, make sure they're brief -- about 20 minutes or so. Use sunscreen if you're out in the sun for any longer period of time. Although it hasn't been proven, a lot of people feel that their psoriasis tends to flare up during stressful times. So try to reduce your stress levels. That's easier said than done, but there are some things you can do : practice relaxation techniques or give yoga a try. The connection between alcohol and psoriasis isn't completely clear, but many people are convinced that alcohol can worsen psoriasis, especially in men. Although no studies have proven a connection between diet and psoriasis, experts recommend that people with the condition should eat a well-balanced diet, high in fruits and vegetables. Fish oils (the omega-3's) in supplement form have been helpful in doses of 6 g. daily. Exercise may also help, and will improve your mood. Excess weight can worsen psoriasis symptoms, so maintaining a healthy weight may help prevent flare-ups. 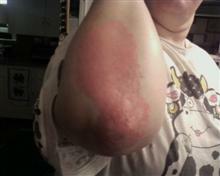 I have suffered with psoriasis since I was 11 years old. I refuse to use steroid based treatments. 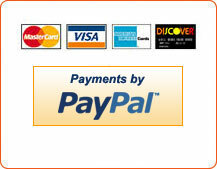 I have never had the success I have experienced with your herbal product with any other product. As you can see, the changes are drastic (I also lost 40 pounds). I am extremely satisfied and looking forward to the full recovery soon. I just wanted to drop an email to tell you about my Champori experience. I've had scalp plaque psoriasis for 12 years. I've tried all the shampoos and creams available to me including steroid foams and creams. 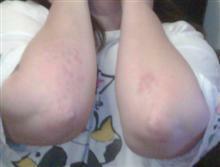 The steroids worked for a week and then caused my psoriasis to flare worse than ever. 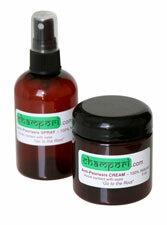 … So I turned to a psoriasis forum and found that people had found relief with natural treatment by Champori. I was amazed at the quick results I had. With the first application to my scalp I had so much relief. I was at work when my order arrived so I only used the spray and it brought instant relief to my itchy scalp and caused the plaque to crumble from its secure hold on my scalp. Once at home I applied the cream to my scalp and rubbed it in. As I rubbed it in I could feel my scalp become less and less tight. I let it sit on my scalp for about an hour and then washed. Like any psoriasis cream, I had to wash my hair a couple of times to get it out but it was worth it!!! Champori has slowed the speed at which my plaque builds and I'm amazed by it. 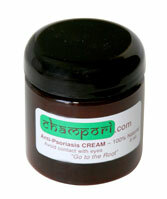 I've been able to control my psoriasis with Champori better than anything else available. Thanks for your great product!